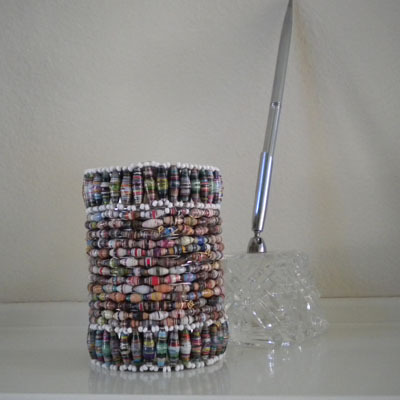 This is another project that can be a nice accent to your desk or work place. 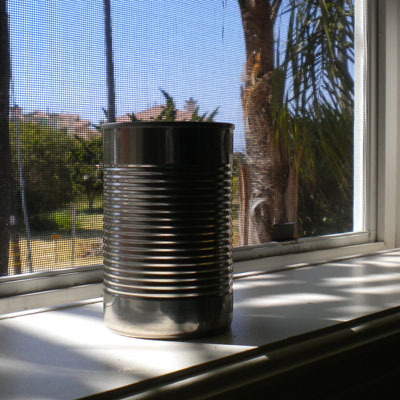 All you need is an empty soup can (I’m sure you have one in your recycle bin), paper beads and glue gun. 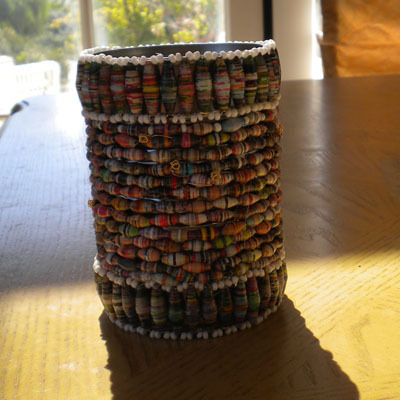 I used olive shaped paper beads for a 12 oz. empty can of Campbell’ s Soup. This is a very easy project, you just need to be careful when using a hot glue gun. 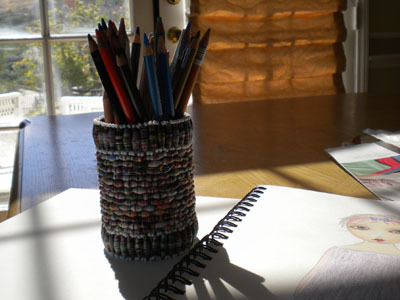 Any empty can will do, I find this size is just perfect to hold my colored pencils. 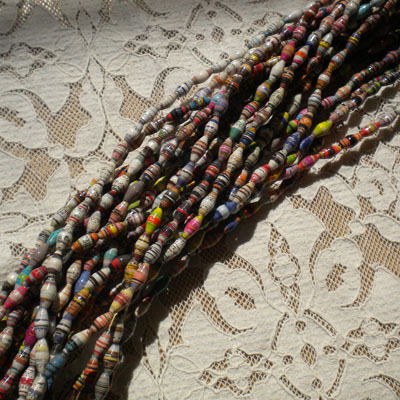 I found it easier to first string the paper beads (you can add seed beads in between) on a craft wire and then glue them in an east west direction. I used to store my colored pencils in a ziplock bag, nothing wrong with that. This one looks prettier though, don’t you think? Another day of taking ordinary to extraordinary. 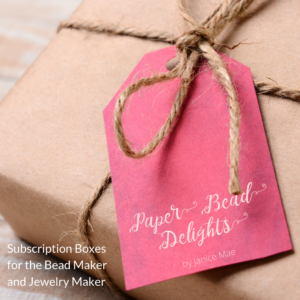 What have you done with your paper beads today? I find it useful especially using recycled things. Congratulations! !I hope I make one like that too and teach my grandchildren.